This is a tumbler. It was designed by Dorothy Thorpe. It is dated ca. 1950 and we acquired it in 1991. 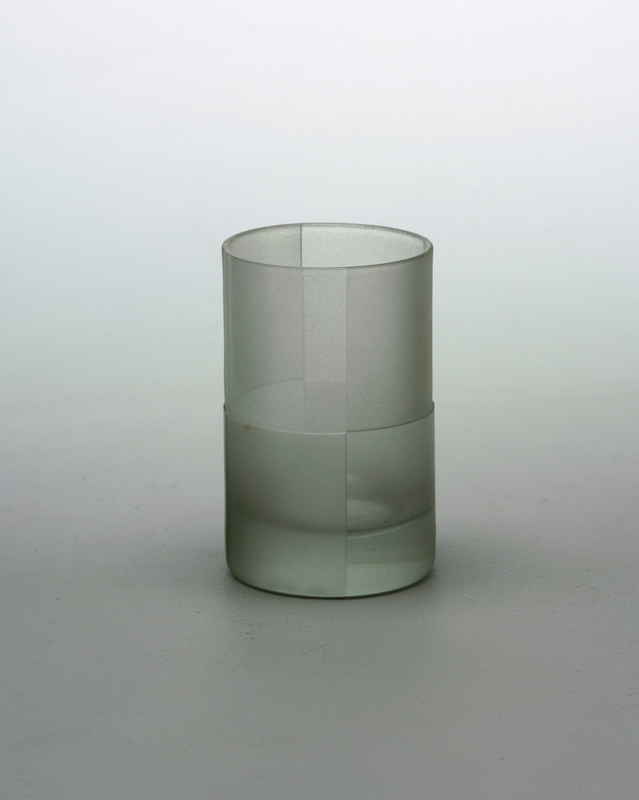 Its medium is sand-blasted glass. It is a part of the Product Design and Decorative Arts department. It is credited Gift of Paul F. Walter.